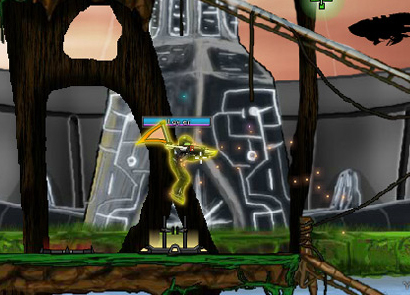 Raze 3 is a brainstorming, futuristic, shooter-based game that will keep you busy for the entire day. It is an addictive game, so ensure that you have enough time to play. The game consists of violence, so it is not recommended for small kids. Young adults will enjoy the game to the fullest. 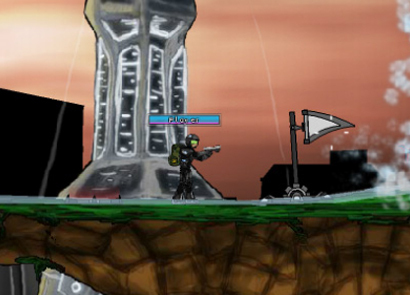 Your objective in the game is to make the planet free from frightening aliens who are back as zombies. There are two game modes available and you need to select any one of them. They are the Quick Match Mode and the Campaign Mode. Both modes are distinctly different from each other. So, you should try playing both of them. Controlling the game is simple. You can use the Arrow keys or the WASD keys for moving your game avatar. To do a double-jump, press the Up Arrow key or the ‘W’ key twice. Aiming can be done with the help of mouse. Use the left click of the mouse for firing. For selecting specific weapons in the game, you need to use the number keys. 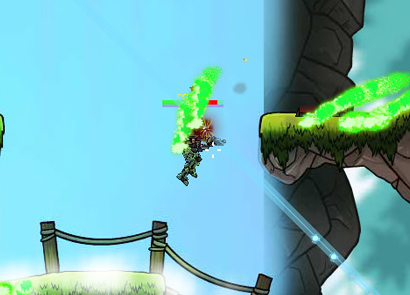 Make use of the ‘F’ key or Ctrl key for utilizing various abilities. M9 Barret: Excellent weapon that does terrific damage to enemy crotches. Assault Rifle: It provides high grade speed and accuracy. Shot Gun: Can shoot five bullets per shot. 50 Cal: It has the capability to pierce tank armor. Rocket Launcher: It carries V-12 rockets that can cover a large radius. 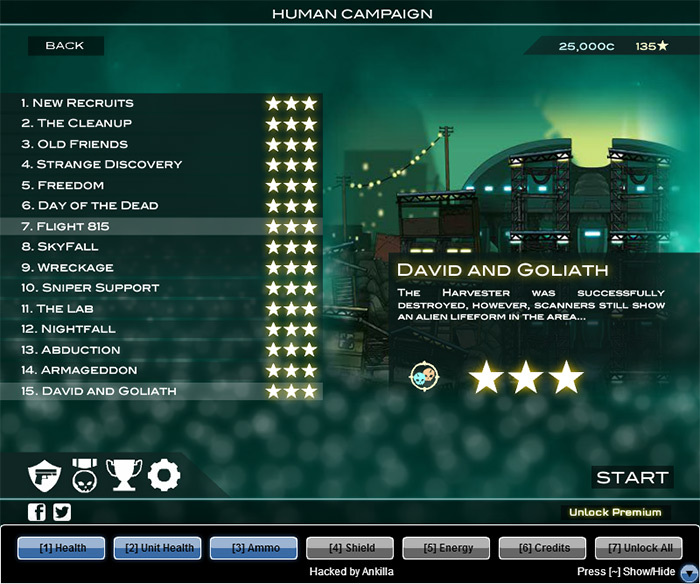 Savior: Will let you complete the human campaign. 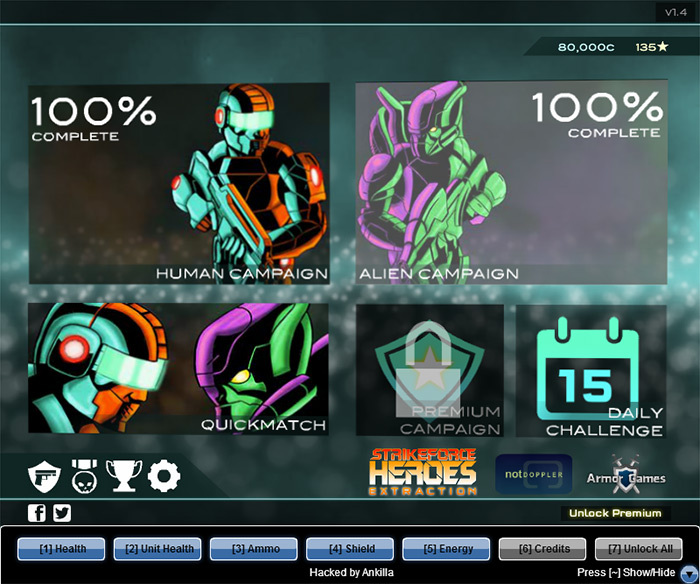 Independence Day: The Alien campaign can be completed. Pop Star: Will let you collect 30 stars. Rock Star: You can collect 60 stars. Super Star: Will let you collect all stars. Genocide: You can kill 250 humans. Exterminator: Will let you kill 150 zombies. Commitment: You can win 50 matches. Don’t Look At Me: Will let you get 50 buttshot kills. Big Spender: You can spend over 25,000 credits. Buns Of Steel: This achievement will let you master squatter. Some more achievements that you can complete are Rapid Fire, Liberator, Terminator, and many more. So, be ensured that the game is going to keep you captivated to your screens. Also, there are 35 kill bonuses that you can unlock in the game. Some of these include Headshot, Assassin, Surprise, Direct Hit, Reflection, and many more. 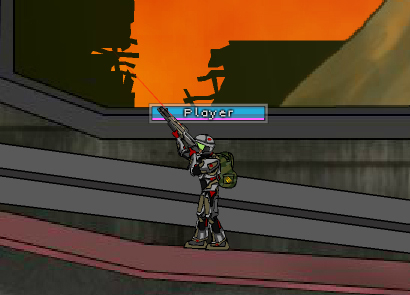 A handy tip to make your game simpler is that make use of the shotgun only when you are close enough to the enemy as this will provide maximum efficiency. 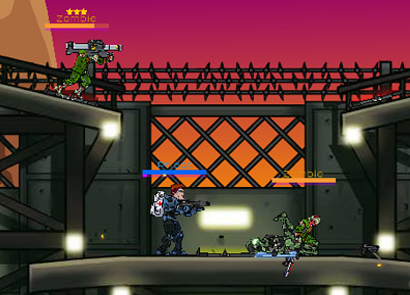 So, get ready to become the special elite force agent and save your planet from the innumerable zombies. Have fun!